Set in a listed building from the mid-1800s in the trendy area of Majorna/Linné. 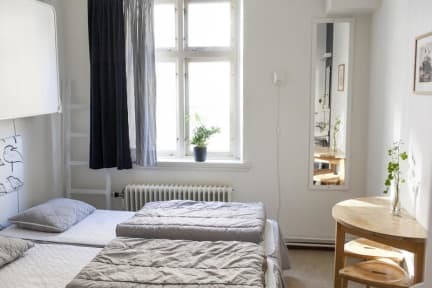 STF Goteborg Stigbergsliden Hostel is a traditional, eco-friendly hostel only a 12-minute tram ride from Gothenburg Central Station. 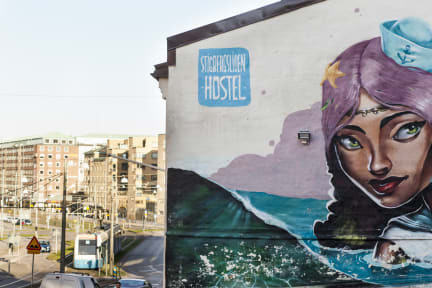 The hostel is a perfect hostel for both families, youth, groups and couples, visiting Gothenburg all year around. The picturesque Haga and the vibrant street life of 'Långgatorna' with pubs, bars, restaurants and food markets is a 10 minutes walk away. It is easy to go into both centre area for shopping or out to the archipelago. We have rooms for two people up to 8 people. And you can choose if you like to stay alone or in shared rooms. We have guest kitchen for the guests who like to make there own meals. During summer time there are a small garden where you can have your meals or just enjoy. - From the 1st of March the hostel will be completely cash-free. Better for the environment and the safety of everyone. From the 1st of March the hostel will be completely cashfree. Better for the environment and the safety of everyone.